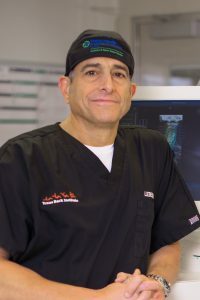 Dr Lieberman is a fellowship trained Orthopaedic and Spinal Surgeon who is currently the director of the scoliosis and spine tumor program at the Texas Health Plano Hospital as well as the President of the Texas Back Institute. He is board certified by the American Board of Orthopaedic Surgery, and holds specialist certification from the Royal College of Physicians and Surgeons of Canada. He completed Medical school and residency at the University of Toronto. He completed Spine surgery and Trauma surgery fellowships at the Toronto Hospital in Canada and at Queen’s Medical Center in Nottingham, England. He held a full time academic appointment at the University of Toronto and the Cleveland Clinic Lerner College of Medicine at the rank of Professor of Surgery. Dr Lieberman specializes in the surgical treatment of spinal disorders. His clinical interests include; adolescent and adult scoliosis, deformity reconstruction, minimally invasive/endoscopic spinal surgery, cervical and lumbar degenerative disorders including herniated discs and stenosis, spinal tumors, infections and trauma. Dr Lieberman’s research interests include; clinical outcomes in spinal surgery, bio-mechanics of spinal implants, robotics for spinal surgery, gait analysis and disc replacement technologies. He has conceived and developed a number of spinal surgery instruments and implants and has over twenty-six issued U.S. patents. He has over ninety peer-reviewed publications and over 50 book chapters to his credit. He has presented over 150 invited lectures at universities, hospitals, national meetings and international meetings.